The past week gave me the reason to rant about two big brands with poor services. Don't get me wrong. I love both of these companies (really), but it just so happened that my experiences with their branches need to be told. Their forecasting is still ain't right. Chicken is supposed to be their core product, but they always run out of it. You'd always hear them say, "Sir, is it okay to wait for 5-7 minutes?" in almost all the things you'd order. Staffs are inefficient. There are lots of staffs, but service is still very slow. They should really checkout the service of McDonald's located right across them. Secondly, Globe Telecom. This branch is located at SM Megamall. What can I say about them? Inefficient. The girl at the entrance asked what we came for, and we said we wanted to purchase a MiFi prepaid bundle. She said, "it's not available." We asked her "are you sure" about three times before she told us that she will check. After doing so, it was deemed available, so we got our number. Time wasted: 5 minutes. Queuing was poorly done. That branch had about 15 counters, but several were not being used. As a result, tons of people were waiting, and some even chose to give up. Time wasted: 1-2 hours. Staffs lacked knowledge of Globe's product. We wanted a MiFi. The girl who accommodated us knew what it was (pretending? ), but not what it's for. Their computer does not say if there's stock or not, so she had to leave us to check the backroom. When she finally got back with the unit, the credit card was then brought to the cashier for processing. We wanted to test the item, but she didn't know how to use it. Luckily, I was playful enough and was able to operate it. A sad confession: it's her first time to use it and looks like we were the first customers who purchased the item. 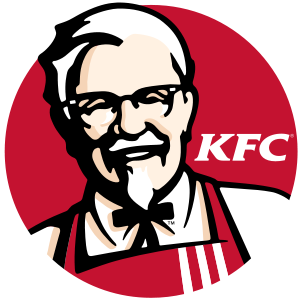 For big brands such as KFC and Globe, customers and consumers have big expectations that their services will be on top of the line. Companies such as these should not be complacent on giving their best each time in each branch, because a loss of one customer will have a domino effect later on. I feel the same way about my Sun internet. Hay. SHAKEY'S should be in the list! it depends on the branch naman ata..
You know what? You complain a whole hell of a lot about super fast fried chicken. Every single KFC is slow because a burger patty and fries are a lot smaller than potato wedges and a chicken breast. KFC is indeed slow. Even here in Davao. I waited for maybe 10 minutes just to have my chicken prepared. In fairness to KFC and Globe, not all branches are slow in service. Perhaps it depends on the manager running it if they're good at forecasting.